"When a film-maker, an artist, is imprisoned it is art as a whole that is attacked, and it is against this that we should react." This statement was made by French actress Juliette Binoche in reaction to the incarceration of filmmaker Iranian Jafar Panahi for over two months. He was just about to go on a hunger strike and was released a few days ago. 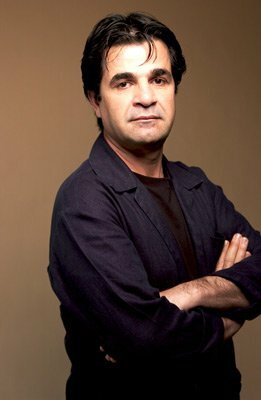 Panahi was to have served on the Cannes Jury this year for the official selection; his seat was vacant with his nameplate at the festival to protest this action. 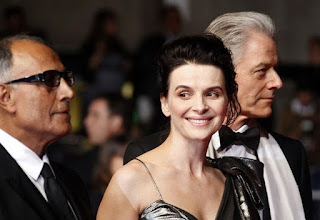 Juliette Binoche won the best actress award at Cannes for her role in probably one of Iranian filmmakers Abbas Kiarostami’s most commercial films to date, Certified Copy. During the awards ceremony Binoche held up Panahi’s nameplate. film and screenplay - Uncle Boonmee Who Can Recall His Past Lives, his fifth entry at Cannes. His film Tropical Malady received jury prize in 2004. Here you have a director who has by made a fascinating tableaux of images from six locations, full of emotions and ideas that create a dialogue with the spectator. The story is about Uncle Boonmee who is suffering from acute kidney failure, who wants to spend his final days with his loved ones in the countryside. During this time the ghost of his deceased wife comes to comfort him, and his long lost son returns home as a spirit Boonmee goes with them to a cave on the top of a hill the birthplace of his first life. Weerasethakul’s award is a tribute to experimental film among a terrain of traditional narrative features.